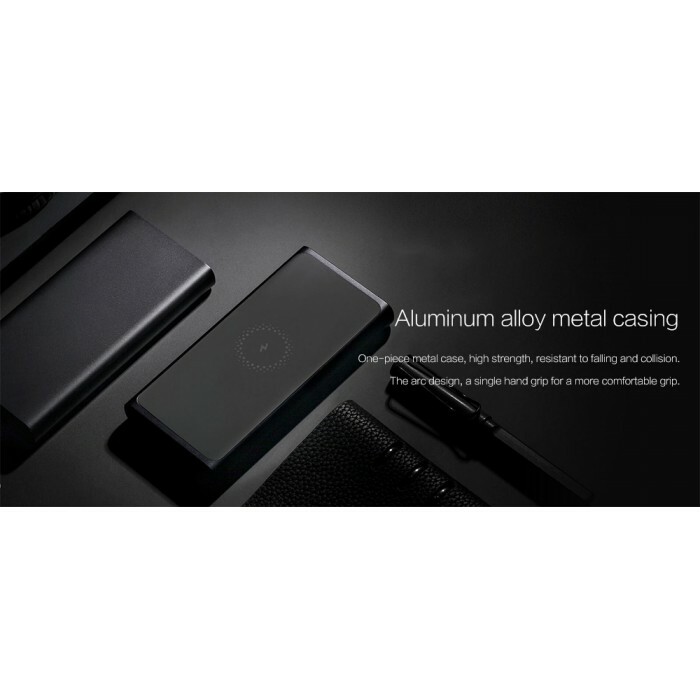 Aluminum alloy metal casing, resistant to falling and collision - One-piece metal case, high strength, resistant to falling and collision. 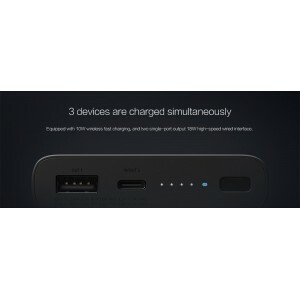 The arc design allows for a single hand grip for a more comfortable grip. 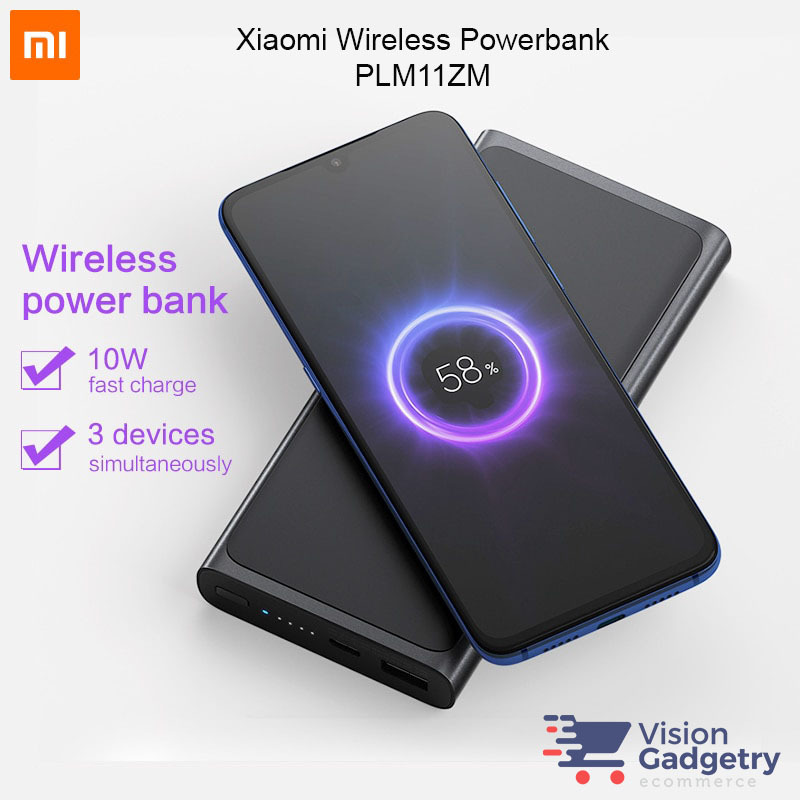 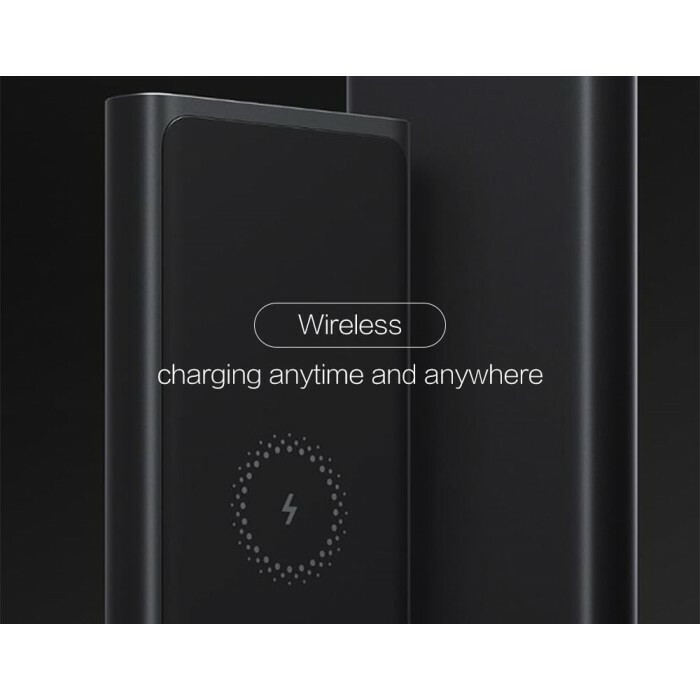 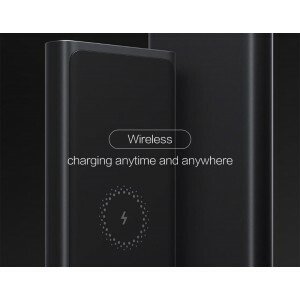 Wireless charging anytime and anywhere - One charge, no need to connect, and it can also be charged with the shell. 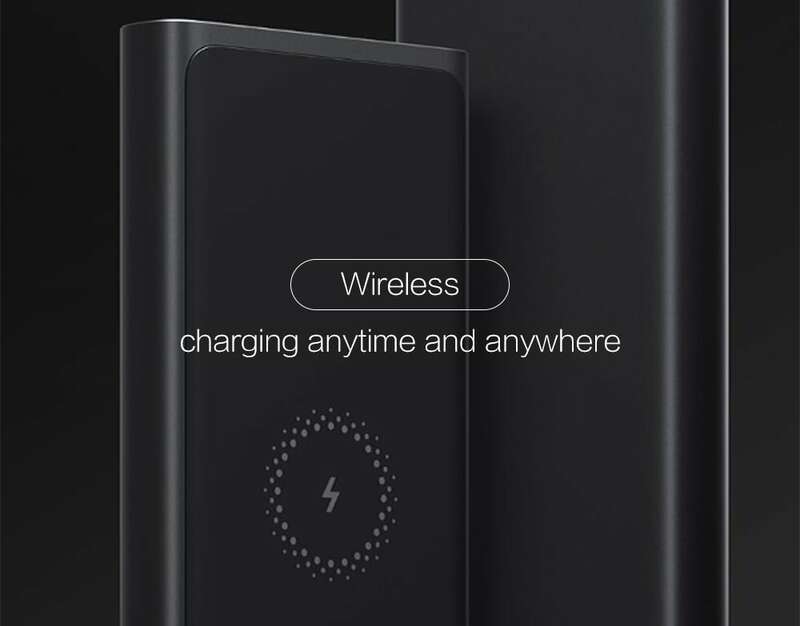 3 devices are charged simultaneously - Equipped with 10W wireless fast charging, and two single-port output 18W high-speed wired interface. 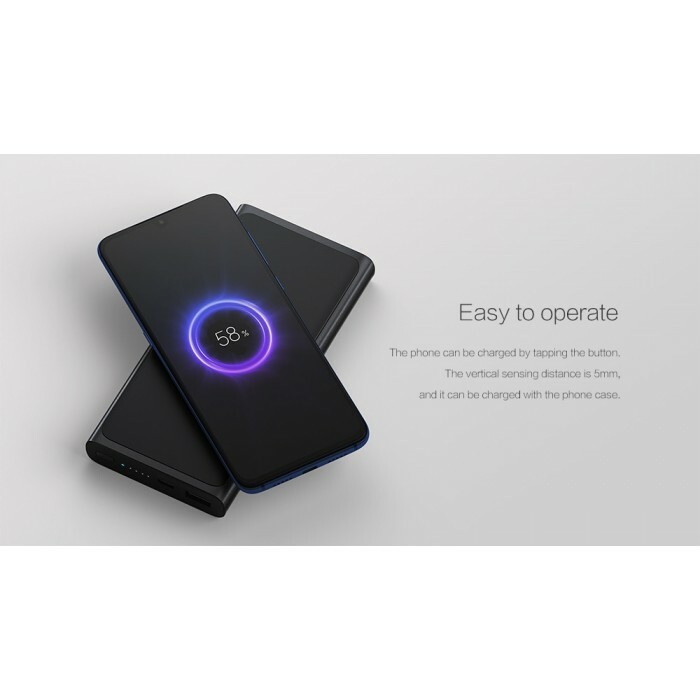 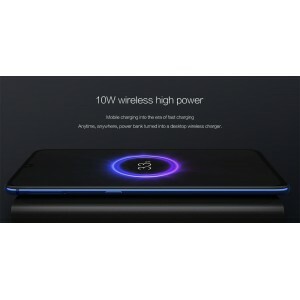 The wireless charging mobile phone device that can support the Qi protocol is simultaneously charged with the wired charging an electronic device such as a camera, a game console, or a MacBook. 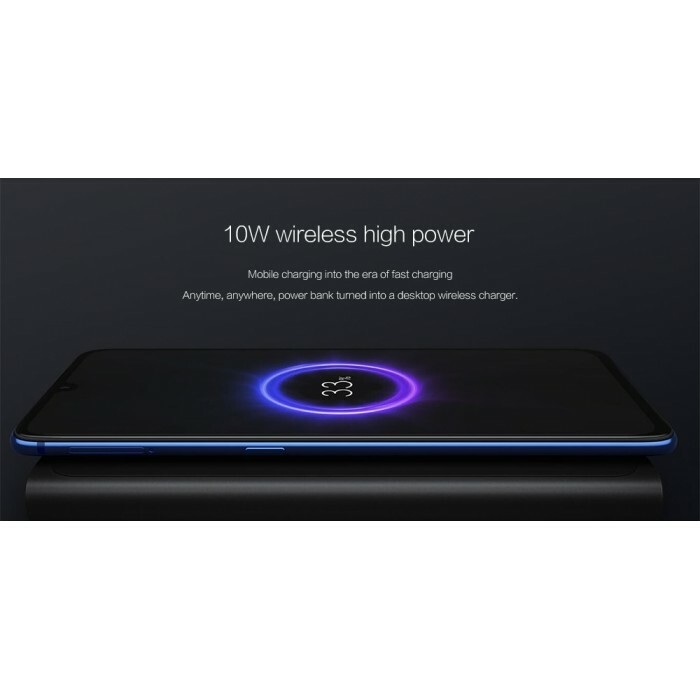 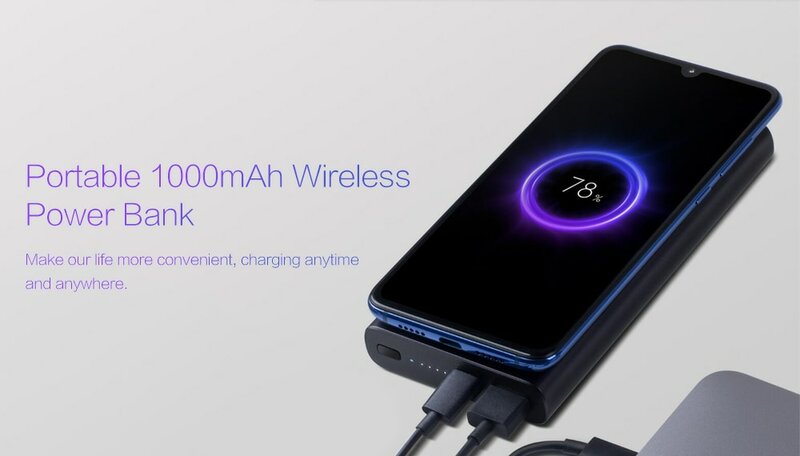 10W wireless high power - Mobile charging into the era of fast charging, anytime, anywhere, power bank turned into a desktop wireless charger. 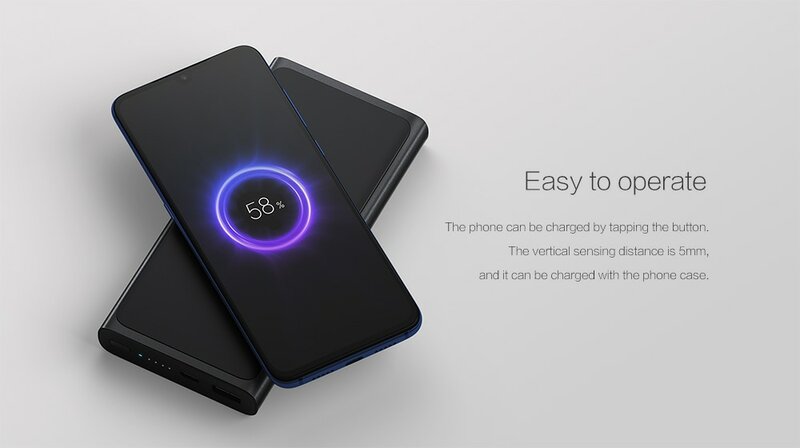 Easy to operate - The phone can be charged by tapping the button. 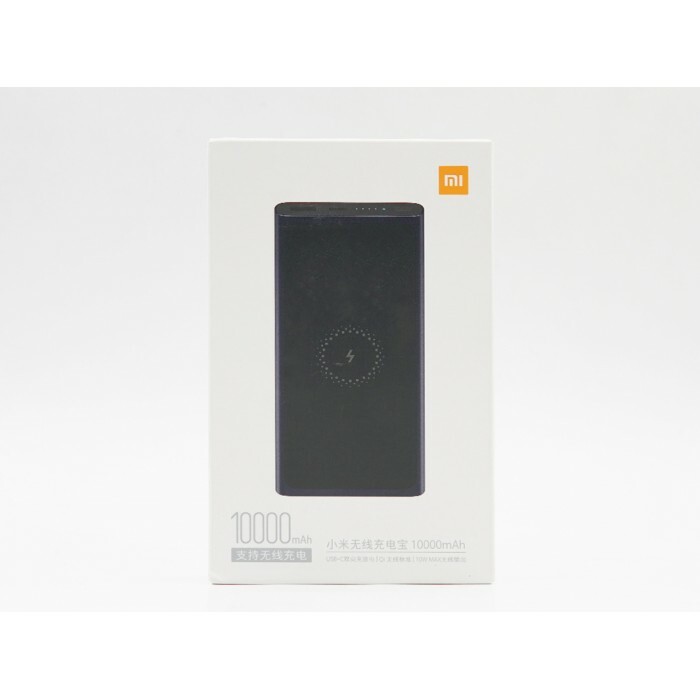 The vertical sensing distance is 5mm, and it can be charged with the phone case. 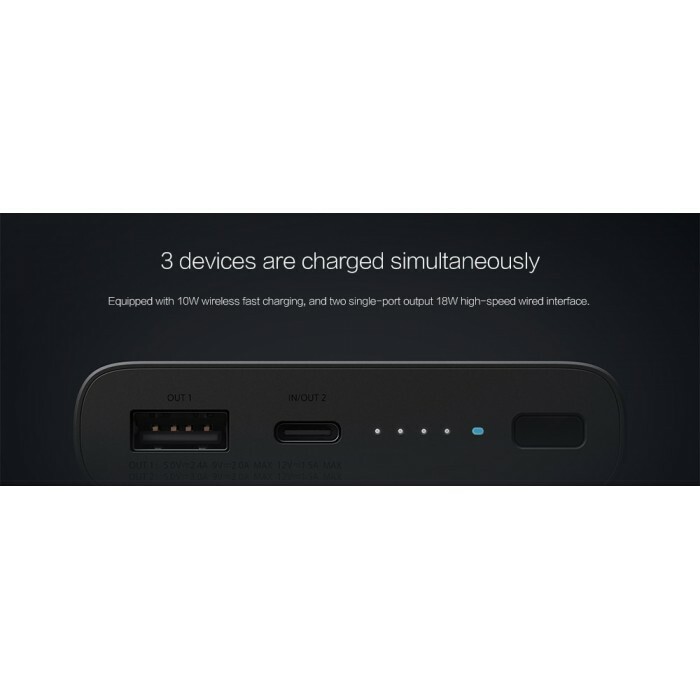 18W USB-C bidirectional fast charging interface - Support for charging mobile phones, tablets, and other devices. 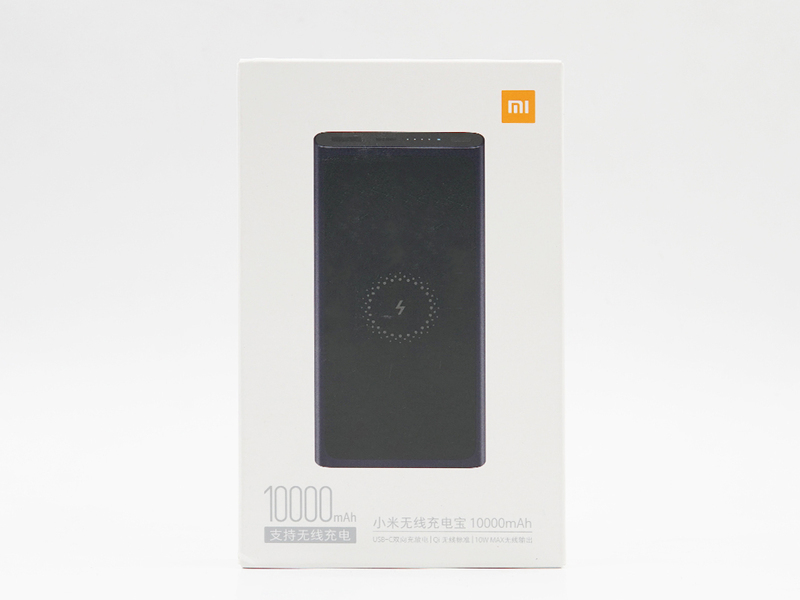 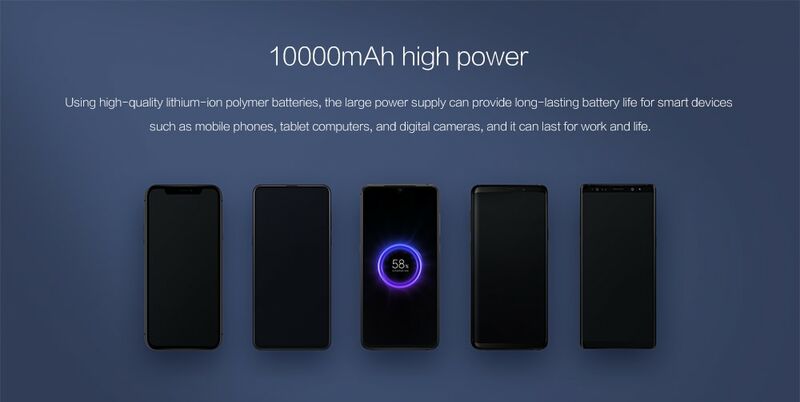 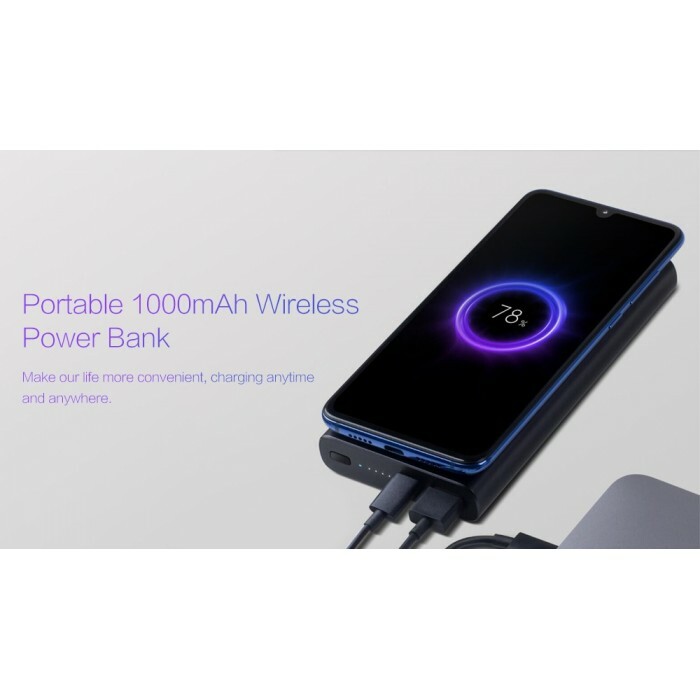 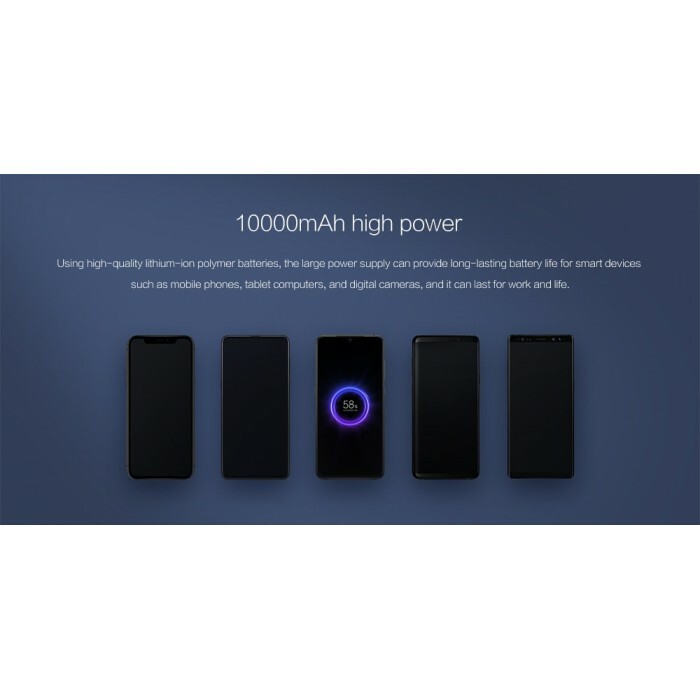 10000mAh high power - Using high-quality lithium-ion polymer batteries, the large power supply can provide long-lasting battery life for smart devices such as mobile phones, tablet computers, and digital cameras, and it can last for work and life.